Marinade wings in mixture of buttermilk, soy sauce, and paprika for at least 2 hours or overnight. Put the soy sauce and brown sugar into a pan and cook to melt the sugar and form a sticky glaze. Let this simmer for 2 minutes. Add in citrus juice and chili flakes. 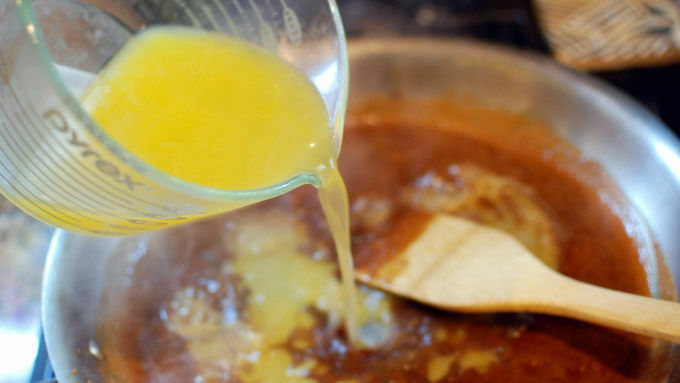 Whisk to bring it together and bring to a simmer. Simmer for about 10 minutes. Strain the wings. 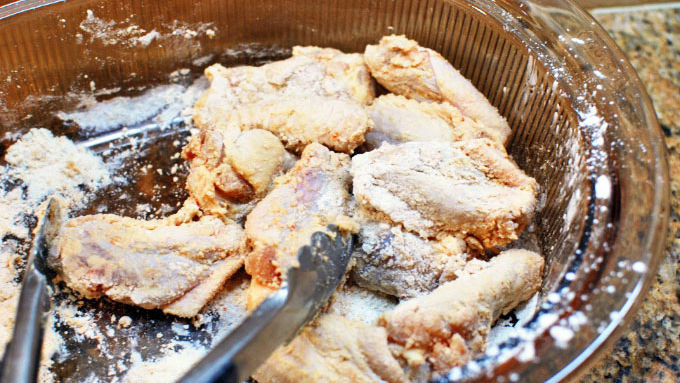 Toss the wings in the rice flour to lightly coat. 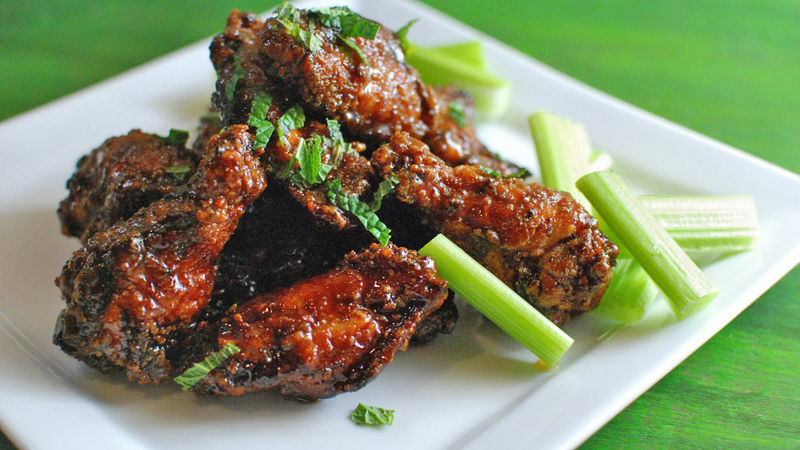 Fry the wings at 350°F for 8 minutes, in 2 batches. Put the wings right into the glaze with the pan still on low and toss to coat. Serve with celery and a little mint for garnish. 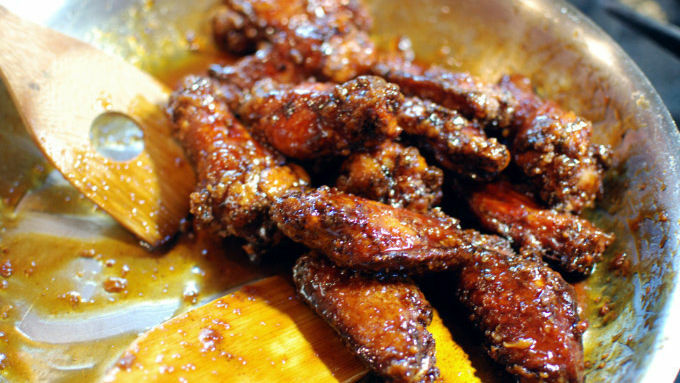 These sweet and salty wings are so good, you'll be licking your fingers clean. I'm always looking for a new wing sauce, and this citrus version was a really big hit with my friends—so I knew I had to share it with you guys. Soy sauce is a perfect match for the citrus because it balances the sour and acidic flavors of the fruit with the savory, salty deep characteristics it's so well-known for. A bit of brown sugar and chili flake make this sauce the perfect balance of salty, sweet, savory and sour that makes any sauce great, especially on wings. The glaze sticks to the wings perfectly! Some celery and mint to finish them off. Then, dig in!